I have thought that in the future to write more posts in English. I know that all my Swedish readers have no problem with it. Sometimes you want more flexibility to adapt the user interface for the data you download from a Web service. With dynamic loading of XAML one can both send data and a description of how this data should be displayed. With templates, you do not build the user interface and insert the data in the on the server side. One can instead bind the user interface and the data on the client side. In this article I will show you how to load XAML from a local xml file. (In reality, this xml obviously come from a Web service.) I also want to show you how to get bindings to work to show the data. The important method to get this to work is called XamlReader.Load, which takes a string of valid XAML code and creates an object structure of it. The content string XAML must be well formed XML, as well as being parsable XAML. The required root element must overpriced specify a default XML namespace value. This is typically the Windows Phone namespace, xmlns = "http://schemas.microsoft.com/winfx/2006/xaml/presentation". This XML namespace is explicitly required in Windows Phone. One can make use of well-formed XML to describe XAML. In my example, it means that I create a standard XML document and this creates my XAML. I would emphasize again that one needs to have the attribute xmlns = http://schemas.microsoft.com/winfx/2006/xaml/presentation in the root element object. The example can be downloaded here. This is a template that is used to display train information for a metro train system. It's a one-to-many relationship between the station (here is example as the binding Station ) and information about several trains that will depart from this station. To display this relationship have I created a ItemsControl , that binds to the collection Items  and for each item do I display the property Next  and Later . Reading of the XML file is encapsulated in a method named loadXamlFromFile. It returns string because XmlReader.Load reads a string. 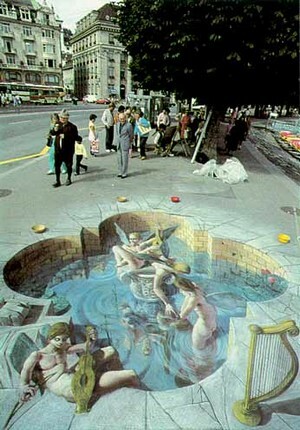 This is done in a simple way. The information consists of two classes, one of the station (StationData) and one for the traffic (TraficInformation). And store it in a variable with the name of vm, for ViewModel. The app has an event handler registered (commandLoadDynamicUI) for a buttons click event. call the method that loads the XML file and returns a string which is saved into the variable metroTemplate. At row  we call XamlReader.Load with that string and we get an Object variable is returned. [6 - 14] is the loading of the data that I described before. At row  I add the XAML object structure, that XamlReader.Load returned, into an existing object tree. I have chosen to use a Grid as this object, but you can use any xaml objects that have a Children property. Row  sets the DataContext for the root element object that was defined in the XML file. I have tried to write my blog in only English the last couple of months. It has been fun but I sometimes have problems to express what I want to say. It takes more time trying to find the right words than to make the content. This is very frustrating for me. Therefore, I will try to make this blog multi language from now. I will still write articles in English, especially if I want to discuss something in response to things that I have read on a English blog. For all my English friends out there, why not try to learn a new language? Just kidding. Each entry will be tagged with the language. In addition, I will try to make an rss feed just for you English reading people out there. 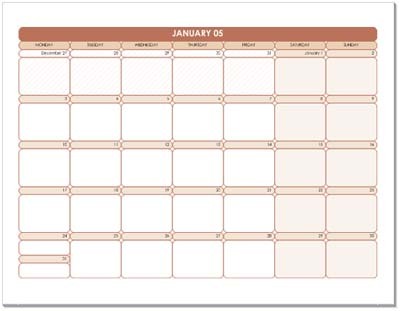 Microsoft has recently released 38 calendars templates on their site. 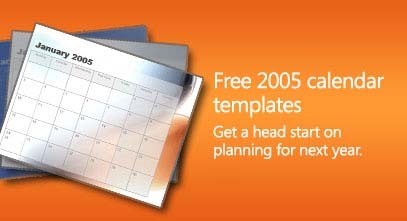 It is templates for all office products, including Visio and Publisher. They are really good. Check them out. One excellent thing that they have done is to include calendars which have Monday as the first day of week. Thank you for that. I saw the keynote from CES with Bill Gates this morning. It was a nice one, but I was hoping for more. It was most about TV and this I'm not so interested in. Much of this functionality in not available in Sweden and I do not know when it will come here. I was also waiting for some new announcement about the Xbox. But instead this part of the presentation was the most uninspired part. They didn't show any new machine, just a game that crashed two times. BPP, bugs per presentation, was high. I counted to 4 or 5 BPP. Did anyone find more? I'm sorry, maybe I have waked up on the wrong side today. Even if I am an advanced ASP.NET developer, I learned very much in this book. This is not so common these days. This book, "Building Microsoft ASP.NET Application for Mobile Devices, Second Edition", helps you with that. It is a good book to have as reference literature on your desk when working with this type of applications. (Swedish: Blindtarmsoperation) Hurray! I mean it. Don Box predicts in this entry that this years PDC maybe won't be any good. I hope that he is mistaken on this one. I hadn't the possibility to attend the last one. Microsoft PDCs have been like Star Trek films - the "even" numbered PDCs are far better than the "odd" numbered PDCs. 2000 in Orlando (.NET) and 2003 in LA (Longhorn) were "even" numbered PDCs and both were fantastic. 1999 in Denver (NT5 redux (we really mean it this time)) and 2001 in LA (hailstorm) were lackluster. Next year's PDC has the challenge of overcoming this pattern, which is doable (I believe Star Trek Film #9 broke the streak), however, PDC 2003 was so well executed it's going to be very hard to match it, let alone exceed it. Why should it always be located on the west coast nowadays? My jet leg will make my day-and-night completely confused for a week after this trip. "The worst thing about Object-Relational Persistence or Object-Relational Mapping is the damned name!" I think this is an interesting thought. But I do not think that it is the name in itself that is the problem. It has more to do with the associations the name has. Let me explain this. One other thing is that Visual Basic is so tight related with Microsoft and they haven't been so keen advocating ORM. I cannot remember that they talked about this before they showed ObjectSpaces in 2000. As Scott concludes, he will drop the “object-relation” part. I think that this is a good. I'm going to try my darnedest over the next little while to remove the term "Object-Relational" from my lingual baggage. I may digress so far as to use, "Mapped Persistence", or "Mapped Data Access", but I'm determined to avoid the demonic intonation of anything ORM in hopes that the .NET culture gap can be bridged. If I can do this without needing to call for an airlift from an embassy roof top, I think it'll be a good year. For a couple of weeks have I worked on a Mobile ASP.NET prototype for a customer. One interesting thing with the prototype was that it should support the BlackBerry terminal. 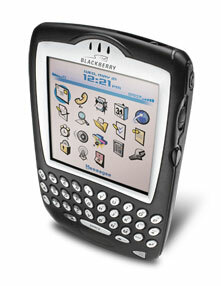 I worked with the BlackBerry 7730. It was the first time for me to look at this phone. It's nice but I don't like the size of it. The screen especially is good, very easy to read. Its browser application could render both "XHTML Basic" and Wml. I preferred the Wml because it is a bit faster to render. One problem was that the Mobile ASP.NET doesn't support any of the modern BlackBerry terminals. I wonder if this is some political issue behind this. But I was lucky. I found a person that had done a device configuration for BlackBerry. Not exactly the 7730, but it was easy to modify the configuration to support this version also. I was however a bit disappointed with the capabilities of the browser. I have programmed several hand-held devices before and thought that this browser should be rather advanced. But even if the device has a color screen I can't use colors. (Maybe I'm wrong. I hope so.) BlackBerry support Svg (scalable vector graphics) and with this I could make quite complex layouts. But Svg is not as easy to program with ASP.NET as Wml and Html is.